(Aluf Benn-Haaretz). Prime Minister-designate Benjamin Netanyahu is refusing to declare his support for a two-state solution to the Israeli-Palestinian conflict,his opposition to a Palestinian state is also a matter of principle, one he has held for many years. Netanyahu says he doesn't want to rule over the Palestinians, and has no interest in Nablus, Tul Karm or Jenin; they should govern their own lives, as long as they don't threaten Israeli security, he says. Netanyahu seeks to deny the Palestinians four rights of any sovereign state: control of its airspace; control of its electromagnetic spectrum; the right to maintain an army and to sign military alliances; and, most importantly, control of the border crossings where arms and terrorists could pass. Netanyahu believes Israel must retain all of these. Netanyahu's model is based on the work of Stanford University political science professor Stephen Krasner, who was director of policy planning in the State Department under Condoleezza Rice. Krasner developed a "restricted sovereignty" model for problematic state structures. Netanyahu believes Israel must insist on retaining 50 percent of the West Bank - the open areas in the Jordan Valley and the Judean Desert that are vital as a security zone. *Q. President Peres reportedly believes that you have matured since you served as prime minister in 1996. A. One would hope. I think time has its uses. One of them is to reflect on your experiences and those of others. I have watched carefully the successes of governments and . . . [seek] to draw from those the elements of policy and leadership that will enable me to move Israel to a better future -- one of peace, security and prosperity. I propose a [new] way, which I believe can achieve progress: to continue political talks and at the same time advance the economic development that has begun and also strengthen the Palestinian security forces. I personally intend to take charge of a government committee that will regularly address the needs of the Palestinian economy in the West Bank. *You're not the right-wing hawk they describe in the papers? I'm the person who did the Wye agreement and the Hebron agreement in the search for peace. I think a lot of people at the time thought the problem was the Israeli government, specifically my own, and that Arafat was the solution and not the problem. That view has undergone some changes since then. *Do you think that short of military action it's possible to halt Iran's nuclear program? Iran is considerably weaker than it was six months ago because of the economic crisis and the precipitous drop in the price of oil. . . . This regime is vulnerable to pressure that ought to be intensified. But none of these sanctions and other measures . . . would have much of an effect if the Iranians believe that a military option is off the table. Israel Beiteinu chairman Avigdor Lieberman said that while he was capable of holding every government portfolio, he would like to serve as Israel's foreign minister. "I think I can hold every portfolio-defense, finance and Foreign Ministry. I think personally I'd like the foreign office," Lieberman was quoted as telling Newsweek in an interview published on Saturday. Asked whether he would continue the peace process if he joined Prime Minister-designate Binyamin Netanyahu's government, Lieberman replied that while he is committed to peace, gradual steps were important. "You can't start with Jerusalem or the evacuation of the settlements. You must start with the security and the economy. 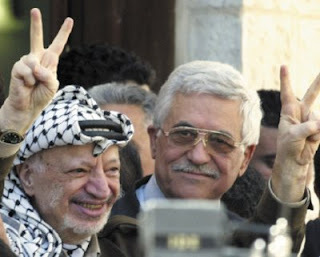 You must strengthen the Palestinian Authority," the Israel Beiteinu leader reportedly said. Prime Minister-designate Benjamin Netanyahu has abandoned efforts to woo centrist Tzipi Livni into forming a broad coalition government, a spokeswoman said on Saturday. The decision, made after a second round of negotiations on Friday ended in disagreement, increased the likelihood that Netanyahu's Likud party would turn to rightist factions opposed to territorial withdrawals in peace talks with the Palestinians. "The courtship is over. We are not scheduling any more talks with Kadima," a Netanyahu spokeswoman said. "If Livni wants to rethink her approach and contact us, she is welcome to." Keep strong Netanyahu! You can do it. Although Livni and Barak rejected your pledge and outstanding effort to form a Unity Government for the tasks that are ahead of us, We stay behind you and support you to lead this nation in these difficult times,as they predicted when you took the offer from Sharon to serve as Finance Minister that you are going into a death-bed and that there is no Chance of success for you,Your hard working and your designated love for our State helped us get out of the Ditch and proved all the pundits and predictors wrong,Now is the time that Israel needs a leader like you to serve us and to lead us,we have waisted 10 years and we cant waste more time,the tasks ahead of us and the capability to achieve success and bring us all together is sewed on to your suit, You can do it,and with God's help you will succeed. 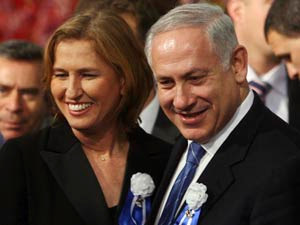 Netanyahu said that he offered Livni full partnership in the government and two of three top ministerial posts, but that Livni had refused his offer for unity. "It is clear that unity requires compromise," said Netanyahu after his coalition talks with Livni ended without agreement on Friday. "I was prepared to go a very long way toward achieving unity." Netanyahu said he offered Livni full partnership in formulating the fundamental guidelines and direction of the new government, full equality in the distribution of ministerial portfolios between Likud and Kadima and two of the three top cabinet posts. Netanyahu also said he told Livni he plans to advance the peace process with the Palestinians, to institute reform in the government and also to try and resolve matters of civil marriage and conversion. Friday's meeting between Prime Minister-designate Binyamin Netanyahu and Kadima leader Tzipi Livni, billed as a last-ditch attempt to form a national unity government, ended without a breakthrough, with Livni insisting that she was heading for the opposition. Livni said Netanyahu failed to make a commitment that the government's platform would include pursuing an Israeli-Palestinian two-state solution. "I came for a second meeting with the Likud leader to hear his vision and the way he believes is correct," Livni said after the meeting in Tel Aviv. "Israel is facing challenges and I told him that Kadima would support the correct moves made by the government." "But to deal with the challenges, I wanted three basic principles that you know of," she told reporters. "Two states for two peoples is not an empty slogan. It is the only way Israel can remain Jewish and fight terror. It's a fundamental issue." Livni said that a unity government would have been possible provided it included plans for a two-state solution, changes to the electoral system and other Interior Ministry reforms, lamenting, however, that Netanyahu was not committed on those subjects, and pledging to be "a responsible" opposition. "This meeting has ended without agreements on issues that I see as essential," Livni said. "There could be a government that advances these issues. At the moment, based on the discussions I held in the adjacent room, that government won't be Netanyahu's." 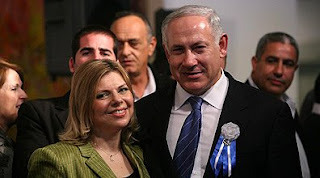 Nevertheless, Netanyahu said after the meeting that he had been "prepared to go very far" to form a unity government, indicating that, despite her pre-and post-election promises, Livni did not have the same "willingness for unity," which he said was particularly vital now, considering the escalating Iranian threat and Israeli unemployment. Despite Livni's claim that the new government's platform would not be to her party's liking, Netanyahu insisted that he had offered her "full partnership" in setting its guidelines. "Unity requires compromise and I was prepared to go in that direction," he said. "I also offered an equal number of ministries, including two out of the top three, I said I intended to move peace negotiations forward, and that we would act to advance civil unions and to introduce electoral reforms." "If there's a will, there's a way; and if there is a will there is unity," he continued. "In my opinion, the gaps can be bridged, but I was met with total rejection and a refusal to even agree to set up dialogue teams in order to strike a partnership," he went on. "I didn't find that Livni had the willingness for unity." In a last ditch-effort to convince Tzipi Livni to enter coalition talks with Likud, Prime Minister-designate Benjamin Netanyahu will offer the Kadima chief a complete and equal partnership in advancing the peace process. But neither side believes a unity government of Likud and Kadima is likely, sources in the parties say. Nonetheless, Netanyahu wants to show that he tried every option to compromise with Livni with generous, unprecedented offers, so that Livni appears at fault for any failure to create a unity government. Advice for the prime minister:No more Bibi! 1. The moment you step off the Knesset podium, after being sworn in as prime minister, there is no more “Bibi” and no friendly slaps on the back. From now on, you are “the prime minister” or at the very least “sir” to your friends, and certainly to your aides and advisors. “Bibi” is only to be used by your wife, your children, your brother, and your father. Please make sure of this. 2. Under no circumstances should you appoint close aides and advisors who have their own personal political agenda and who wish to climb up the ladder. Such ambitious aides are a recipe for trouble. They will always, always, think about how to advance at your expense before thinking about your own good and success. 3. Don’t appoint too many aides and advisors at your office. Too many loyalists around you will only guarantee clashes among them. Make sure that only one trusted associate will have the right to keep your door open or closed; otherwise, it will never be closed. 5. Listen well to the words used by the people around you, mostly at your office. If somebody says: “We decided,” “We announced,” or “We said,” dismiss them at once. There is only one boss at the Prime Minister’s Office, and that’s you. 6. From the first moment, don’t pretend you know everything. Ten years have passed since your previous term as prime minister, and the world completely changed since then. Only after you hear all the briefings about the “situation,” you will realize how much you didn’t know in these past 10 years. 7. Keep all your old friends, and be very careful of the new ones. Tell those who did not invite you to their home before you became prime minister that you will accept their invitation after you complete your term in office. Don’t worry: They won’t be inviting you by then. The prime minister has no new friends. He only meets interested parties. 8. You do not have 100 days, and not even one hour, of mercy. Even before you take office, prepare the plans for the initial period in power and immediately implement them. We are fed up with words. And yes, don’t let anyone divert you from carrying out your plans. Go all the way, to the (bitter?) end. 9. It appears to you that the State of Israel’s real problems at this time are the Iranian nuclear threat, the financial crisis, the Palestinians, and Syria. Well, it only appears to be that way. You will immediately discover that the “honor” of ministers and others is the “important” issue. Ignore such disagreements as much as is possible. The Iranian nuclear issue is more important and more urgent. 10. Don’t listen to the radio in the morning and don’t read newspapers at night. If you listen and read, you will spend your day formulating responses, denials, and spins. You know just as well as anyone that almost all journalists are only wise in retrospect and that all the commentators are completely wrong, just like, by the way, government ministers. You have a plan that you believe in? Go for it. 11. Try as much as you can to lower the level of suspicion towards every person, every statement, and every act. The mad mistrust ruined (almost) all your predecessors. It is indeed true that many people are interested in harming you, but even more people want what’s best for the country. 12. Most importantly: When you are asked to make a decision on any matter, large or small, never ask yourself: What will I gain from it? Rather, ask what the State of Israel will gain. If this is how you will make your decisions, you will be able to stay in power for a long time to come. 13. Please note: People will say bad things about you in their conversations, while only referring to minor matters: How much it cost to replace the furniture at the office, your wife’s haircut, the inappropriate appointment you made, the fact your driver drove too fast, or the fact you ate non-kosher food in public. So pay attention to the small details. When it comes to the big details, most of the people of Israel understand nothing and have nothing to say. 14. A small word of advice: Try to convince personal secretaries Marit Danon (at the Prime Minister’s Office) and Miri Lapid (at the Defense Ministry) to come back or stay at the office. It is no coincidence that half a dozen prime ministers and defense ministers decided to keep them. 15. And two more words: Good luck! Oh, you will very much need it, Mr. Prime Minister. In a article posted in the Jewish week,Avigdor Lieberman - a Possible candidate for Foreign Minister is trying to soften his Image. "Another label that has been thrust in my direction is “far right” or “ultra-nationalist.” I want the State of Israel to remain a Zionist, Jewish and democratic state. There is nothing “far” or “ultra” about those ideals. I also advocate the creation of a viable Palestinian state. I welcome the contribution of minorities to Israel’s flourishing. We do not ask Israeli Arabs to share in the Zionist dream. We are asking them to accept that Israel is a Jewish state — the only one in the world. It is also the only democracy in the Middle East as well as the most advanced in terms of technology, health care and education. If those who strive to topple the state with terror and violence would instead focus on improving daily life, education, infrastructure, and health care, we could all move on to better lives for everyone. As part of the next government, I look forward to working with President Obama. I know that U.S.-Israel relations are as strong as ever, and that our shared values and interests make our friendship unshakeable. Prime minister-designate Benjamin Netanyahu met Histadrut (General Federation of Labor in Israel) chairman Ofer Eini today. The meeting, which took place at Netanyahu's request, was to discuss the consequences of the economic crisis and to send a message of cooperation between the Netanyahu government and the workers and employers' organizations in the face of the wave of layoffs in the Israeli economy. Among other things, Netanyahu and Eini discussed the problem of unemployment I outlying areas. The two agreed to cooperate when the new government is formed, together with other players in the economy. We had an important, in-depth discussion in an attempt to understand the depth of the crisis that threatens the jobs of tens of thousands of people, " Netanyahu said after the meeting. "I fund in the chairman of the Histadrut willingness to find ways of cooperating, and we are continuing with the dialogue so that we will be able to form a government and act quickly," Netanyahu added. "We will work together for the benefit of the workers, the economy, and the country." Eini also said that the meeting had been a good one and that he hoped that cooperation between the sides would propel the economy forwards. "We tried to think of ideas for a solution, and I congratulate Netanyahu on his wish to work in cooperation. We can see that the crisis is the most severe in Israel's history , and we agreed that we would act in true cooperation. We will try to solve the crisis together, particularly the layoffs of workers in outlying areas," Eini said. 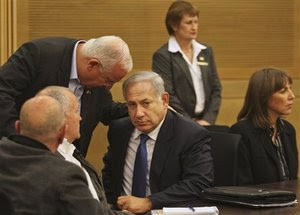 Political sources believe that Netanyahu initiated the meeting also in order to ask Eini to act behind the scenes to bring the Labor Party into the coalition he will head. Eini has very good connections with Labor chairman Ehud Barak and with other senior figures in the party. In recent days reports have spread that, despite Barak's declarations that his party was headed for opposition, he has begun talking with senior people in the party to find out whether they would be prepared to join a Netanyahu government with Avigdor Lieberman's Israel Beiteinu. If Eini manages to pave the way for such a move within the Labor Party, Netanyahu's dream will come true: a Likud-Labor government without Kadima. Netanyahu has never concealed his wish to see Barak hold the defense portfolio. Eini's involvement in such a move would ensure him support from Netanyahu for measure the Histadrut would like to see instituted, while for his part Netanyahu would ensure himself industrial peace on the part of the Histadrut. Netanyahu hinted as much when he said at the end of the meeting with Eini, "I expect the same kind of cooperation from political leaders too. The order of the day is unity. We do not have unlimited time. Israel's economy won't wait we must form a broad government quickly, as broad as possible." 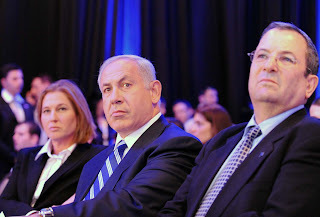 Benjamin Netanyahu (Bibi) says the next meeting with Livni would be decisive. Israeli Premier-designate Benjamin Netanyahu is taking additional steps to lure Kadima leader Tzipi Livni into joining his government. "It appears he intends to further accommodate Livni. He genuinely wishes to bring Kadima into the government and establish a broad coalition," Israeli daily Yediot Ahronot quoted unnamed sources who had earlier met Netanyahu. "I think the meeting on Friday will be decisive and meaningful," said Netanyahu, who will hold his second meeting with Livni on Friday. Meanwhile, sources close to Livni revealed that she might change her position on joining the coalition should Netanyahu clear up issues such as his support for the two-state solution and changing the government system. "The two most significant main issues are the diplomatic and religious ones," said a Livni associate. A senior Kadima official said that "if Netanyahu will back the two-state solution and offer a rotation, it will be difficult to say no to him." Prime Minister-designate Benjamin Netanyahu met Thursday with US President Barack Obama's special Middle East envoy George Mitchell. Following the meeting Netanyahu said that it was held "in a very friendly and practical atmosphere." Sources close to the Likud leader said that Netanyahu was under the impression that Mitchell does not intend to pressure Israel on the issue of illegal outposts. According to the sources, at this point the US did not present any demands to Israel and mainly sought to learn more of Israel's stance on the relevant issues. In 2001, Mitchell published a report on the Israeli settlement project in the West Bank and stressed the need to halt further construction in the area. "The subject of the settlements was not brought up," Netanyahu's associates said. "The issues that the government will need to tackle after its establishment are extremely complex and problematic, including the Iranian problem, which concerns both Israel and the US." (Haaretz).Israel's next government will be "more Jewish and more Zionist", the confident faction leader of the right-wing National Union party declared Thursday, following coalition talks with members of Prime Minister-designate Benjamin Netanyahu's Likud party. "There was very positive atmosphere at the meeting [with Netanyahu]," said Yaakov Katz, as he emerged from the talks at Kfar Maccabiah in central Israel. "...There is an understanding with Likud that the next government will be more Jewish and more Zionist." Netanyahu, who was tapped to form the next government following national elections two weeks ago, initially turned to mainstream Kadima and Labor, but was rebuffed. Some Kadima members are, however, rebelling against party leader Tzipi Livni's determination to sit in opposition, and urging her to join a Likud-led coalition. But a senior member of Likud said Thursday that differences over Palestinian statehood are likely to scupper Netanyahu's efforts to forge a broad government with Livni. "There is across-the-board agreement on Iran, Hezbollah and Hamas but there is a big gap between Kadima and Likud on the two states for two people. It's unsolvable," Silvan Shalom, a senior Likud legislator and former foreign minister, told Army Radio. 49% of the Nation demand Unity - Kadima to join Coalition,while 33% oppose it. (Aluf Benn-Haaretz).Benjamin Netanyahu deserves a chance to lead Israel on the basis of his worldview and with the coalition he forms, with or without Tzipi Livni and Ehud Barak. Netanyahu is coming back to power a decade after he was toppled in elections, and not because the Israelis have fallen in love with his ideas and personality. His dream of bringing to Likud a large bloc of centrist votes, like Ariel Sharon did in 2003, did not happen. But in the 18th Knesset no coalition is possible without Likud. Netanyahu deserves a chance because his return to power exemplifies the democratic game. There is no other candidate whose views, skills and weaknesses are better known to the public. After his 2006 defeat he did not "tend to his affairs at home." Instead, he waited, as a leader of the opposition, for the fall of Ehud Olmert. Netanyahu also excelled in political maneuvering when he cut a deal with Shas and prevented Livni from becoming prime minister after Olmert resigned. Netanyahu deserves a chance because for years he has warned against an Iranian nuclear bomb, which he believes will pose the worst threat to Israel's existence ever. Netanyahu felt that some of his predecessors could have done more to curb the Iranian threat. Now he has been given that responsibility. He wants to convince Barack Obama that his presidency will be judged by the results of his dealings with Iran. Netanyahu will not oppose dialogue between the United States and Iran. During their meeting last summer he told Obama: "The target is more important than the method." In Netanyahu's opinion, Obama will try to talk with the Iranians for two to three months, and will find out - as expected - that they are toying with him. Then he will turn to a more aggressive option. The United States has many ways to strike Iran, and Obama has greater legitimacy to use force than his predecessor, who was mixed up in Iraq. From Netanyahu's point of view, dealing with Iran is the key to progress in the diplomatic process. The depth of Israel's concessions in the territories will reflect the severity of the blow against Iran's nuclear program. Netanyahu deserves a chance because he is convinced that he will work well with Obama, and even with Hillary Clinton. Netanyahu knows that Obama will ask him about his position on a two-state solution, and believes he can find a formula that will satisfy the president. But Netanyahu believes in reciprocity in foreign affairs and thinks there should be no give without take, not even among friends. He will ask Obama to evaluate him on the basis of his actions on the ground, instead of wasting time in ideological debates and humiliating him publicly for opposing peace. Netanyahu will argue that a Palestinian state is not currently on the agenda, and if a reliable Palestinian partner emerges, Likud has greater chances of reaching a lasting agreement with him than the left. Public pressure on Israel will achieve nothing and will only bolster a right-wing coalition behind Netanyahu that will oppose any concession. On the same principle of reciprocity, Obama will also want something from Israel; it appears this will come in the form of a demand, more adamant than ever, for a freeze on settlements, including "natural growth," that Netanyahu promised during his election campaign. Such a demand will create a serious problem for a right-wing coalition dependent on settler parties. Here, too, Netanyahu will try the "quiet in return for action" method with Obama: Don't force me to turn my back on my ideological base and political partners, and trust me that conditions on the ground will improve. In any case, he will tell Obama, you have no better alternative. Netanyahu deserves a chance because his authority and understanding in economics is greater than that of any other politician, and he must stand by his promise and soften the blow of the international recession in Israel. For this he needs Kadima in his coalition; it's easier to pass an economic program when the opposition is weak. Bibi needs Tzipi, not for peace, but for the economy, and he hopes the business community, who supported him when he was finance minister, will rally behind his setting up as broad a government as possible. Netanyahu deserves a chance because he claims he has matured and learned to work with people and listen to them. He will be tested on the "conduct" that foiled him during his previous term, and above all on his ability to be a unifying leader and not upset large segments of the public and establishment. And if he fails this time, too, the parliamentary method will once more topple him from power. (Yossi verter- Haaretz).Benjamin Netanyahu will sit back today into his temporary seat, and observe new and old-new MKs taking their oaths. He will be proud, but perhaps despondent, too. He had garnered fifteen new seats and brought the power back to Likud. But he went out of his way to share power with his election rivals, Livni and Barak; they, on the other hand, avoided him like the plague. Netanyahu will be surveying a kind of a small Likud-state as he sits. Kadima is clearly a Likud tributary. Most of its MKs come from the very top of the Likud slates: Livni, Bar-On, Mofaz, Hanegbi, Sheetrit, Boim. And what is Yisrael Beiteinu if not another offshoot of his party? It's headed by Yvet Lieberman, formerly Likud director-general, flanked by Uzi Landau. On the list is also Orly Levy, daughter of David Levy, the Likud's own flesh and blood. A veritable parliamentary production of "All My Sons." Likud underwent an important transformation in those polls. It is now a mother-party, spawning other parties, and taking over the political spectrum. Once it was Mapai. Today the Zionist left counts 16 seats and is near extinct, while Likud, along with its branches, is a ruling party. This is Netanyahu's pride. Likud Chairman and Prime Minister designate, Benjamin Netanyahu, announced on Tuesday evening that he has appointed a team of negotiators for the upcoming coalition talks as he attempts to form a new government. The team will be led by MK Gideon Sa'ar, formerly chairman of the Likud's Knesset faction, and also includes MK Ze'ev Elkin, Professor Ya'akov Ne'eman, former MK Eliezer (Modi) Zandberg and political consultant Nathan Eshel. The coalition talks will kick-off on Wednesday Kfar Hamaccabiah between the Likud and the right-wing parties. In addition Netanyahu has also appointed a 'hundred days' team, whose job is to prepare the government's plan of action for its first days. At the head of the team is MK Yuval Steinitz. "Bibi (Netanyahu) understands the weightiness of pursuing the peace process," outgoing Prime Minister Ehud Olmert said Monday night of his designated replacement. Speaking to representatives of the Jewish Agency at his Jerusalem office, Olmert said "My position that Israel needs a broad government is well-known, and the next government should be established expeditiously. "Bibi is a patriot. In the past, during his tenure as PM, he also understood the importance of pursuing peace," he said. Shaul Mofaz on Tuesday refused to rule out the possibility of Kadima joining a Likud-led coalition, despite his party leader Tzipi Linvi's recent rejection of an offer to do so. "I said during the Kadima [faction] meeting that running towards the opposition is not a sacred matter and that while we must make a supreme effort to form a unity government, we must do so without violating Kadima's basic principles," Mofaz told Army Radio. Despite publically backing Kadima Chairwoman Tzipi Livni, behind the scenes tensions appear to be growing over Livni's declaration that she will not be joining a Likud-led government. In a talk with Ynet Monday, senior Kadima officials slammed Livni's rejection of Benjamin Netanyahu's offers. "Netanyahu made a very generous offer, and it's a mistake to reject it out of hand," one source said, dismissing Livni's estimation that a narrow right-wing government will be toppled quickly. "This is wrong thinking," the source said. "Netanyahu will have a disciplined government that would be able to conduct itself and vote in unison." (Globes). "At this moment, the workers at the Vita-Galilee Fruit plant are digging in. The factory is at risk of closing, along with many others. The livelihoods of thousands of families are now in question. We're talking about the economic soundness of many communities and the economic soundness of the whole country," Likud chairman MK Benjamin Netanyahu told the party's MKs today. Netanyahu went on, "We're facing an economic crisis the likes of which we haven’t seen in years. This is a broad and deep crisis, and we'll have to take many measures to save the likelihoods of thousands of families and to ensure the economic future of Israel's citizens. We won't be able to stop this too much. I assume that there will be further deterioration until we'll be able to turn the economy around. "The situation requires the combining of forces and creative economic measures, and a broad front in the Knesset." Netanyahu added, "At the same time, rockets are being fired into Israel in the north and the south. Hanging over all is the nuclear armament program of Iran, which continues its effort to build an atomic bomb with declared intent against us. We've never faced such an emergency, except possibly during the War of Independence, and it requires a different leadership. It requires us to set aside routine politics and personal and partisan considerations, which might be legitimate at other times. They are not legitimate in times like these. We must now combine our forces. The importance of the need for unity in the face of the threats increases daily." Netanyahu said, "I've spoken with [Kadima chairwoman and Minister of Foreign Affairs Tzipi] Livni and [Labor Party chairman and Minister of Defense Ehud] Barak, and I intend to speak with them again in order to get them to join hands to meet the great challenge that Israel faces. I hope that they will respond, and I'm sure that there is response within our parties; we're united on this. I hope that we'll find among the centrist political leaders of the country the strength for unity. The nation wants unity, and the emergency requires it." JERUSALEM — Israel's Labor Party on Monday rejected Benjamin Netanyahu's appeal to join his future government, hindering the hawkish leader's efforts to create a stable, moderate coalition that would enjoy international support. The centrist Kadima Party had already reacted coolly to Netanyahu's alliance overtures the night before, making him more likely to rely on a narrow coalition of nationalist and religious parties that could halt peace talks with the Palestinians, harm Israel's ties with Washington or break apart over conflicting domestic agendas. Labor Party leader Ehud Barak, Israel's current defense minister, said he told Netanyahu his dovish party would serve as a "responsible, serious and constructive opposition." Netanyahu, undeterred, pledged to keep courting both Labor and Kadima. "I am not going to give up in this," he said. "I want to try to make every effort to form a national unity government." Bogie Yaalon requested the Education portfolio. Israel Beiteinu leader Avigdor Lieberman met with his American namesake, US Senator Joseph Lieberman, on Sunday in what sources close to him said was an audition for the role he wants in Prime Minister-designate Binyamin Netanyahu's government: foreign minister. Lieberman has told associates in closed conversations that he will request the Foreign Ministry in coalition talks. Former ambassador to Washington and incoming Israel Beiteinu MK Danny Ayalon, who accompanied Lieberman to the meeting, said he was a natural fit. "He's already prepared to be foreign minister," Ayalon said. "Of course he's fit for the position. He's a strategic thinker and analyst. He's impressive one on one. His English is very good. The more meetings like this, the more people understand his caliber. I've been meeting ambassadors, including Arab officials, and no one is raising eyebrows about the possibility of Lieberman being the minister of foreign affairs." The head of Israel Beiteinu's negotiating team, MK Stas Meseznikov, confirmed that "in a narrow government, I am sure we will get the portfolio." "Though we're not related by blood, we are privileged to hold positions in two great nations," the senator said after the meeting. "I wanted to meet Lieberman, because he will play an important role in the next government, so it's important that we in the US get to know him well." A Netanyahu aide said "there were agreements on certain subjects, but Livni was adamant on the subject of two states for two peoples. Netanyahu told Livni she should not latch onto this formula at this time and that other ways could be found to define the political subject with the Palestinians." Labor Party Chairman Ehud Barak is lobbying the faction's central committee members and activists for support for a possible entry into a government led by Likud chief Benjamin Netanyahu, Channel 10 reported on Sunday. Barak's efforts come despite his statements indicating that Labor intends to remain in the opposition. Barak has initiated a series of meetings and consultations aimed at determining what the response of central committee members would be if Labor were to join the next government. Likud chief Benjamin Netanyahu and Kadima Chairwoman Tzipi Livni failed to come to agreement on various issues that would allow for the formation of a national unity government, though the two party heads did agree to meet again later this week following their sit-down in Jerusalem on Sunday. Speaking last night to reporters after their first meeting since the February 10 election, Livni said there are still "profound differences" between the two parties' positions on the peace process and talks with the Palestinians. "I will be taking Kadima into the opposition," she said. "Netanyahu has asked for another meeting and I agreed. As far as I am concerned, this meeting has changed nothing." "In the coming days, I will make an effort to form a national unity government in light of the significant challenges the State of Israel faces," Netanyahu told reporters. "This is what is needed now and this is the nation's desire." Netanyahu hinted at the disagreements that emerged between him and Livni during their talks. "In my view, we can bridge the gaps on various issues with good will," he said. "But if people look for a way not to, they find it. It is possible and it is necessary to find a common way." Netanyahu said he is convinced that the people want a unity government and that he "hope[s] to find the way vis-a-vis the leadership of Kadima and the Labor Party." Kadima Chairwoman Tzipi Livni and Likud Chairman Benjamin Netanyahu are currently meeting in Jerusalem for the first time since the elections. Foreign Minister Tzipi Livni said Sunday after talks with rival Likud leader Benjamin Netanyahu that her Kadima party was unwilling to compromise on its path for peace just to join the government coalition. "The choice is between the advancement and actualization of a vision for two states for two peoples or losing our path in this realm," she told Kadima members following her meeting with Netanyahu, who was chosen Friday to forge a coalition government. (Sima Kadmon-Ynet).Tzipi Livni: Sunday afternoon, before you head out for your meeting with Benjamin Netanyahu, it would be good if you do something – that is, pinch yourself hard. Even harder. You have to wake up. You know the picture you have in your head, where you sit at the head of the government table with ministers from Kadima, Likud, Yisrael Beiteinu, and the Labor Party? Well, that was a dream. It won’t happen. And you know what? It couldn’t have happened. You truly believed in it, and even managed to convince many of us; yet the time has come to open your eyes. Indeed, it isn’t easy, and you are right – you won one more Knesset seat than him. Yet what can you do, he is the one who got the mandate to form a government. 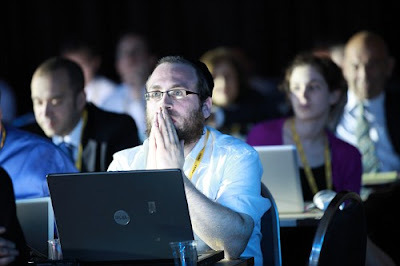 When you will sit with Netanyahu, Tzipi Livni, and the only thing to resonate through your mind is “I don’t believe him,” it would be good if you remember that he also has one sentence resonating through his mind: “It’s too much for her.” Both of you may be right, yet it doesn’t matter: Just like one makes peace with enemies, coalitions are formed with rivals. When Netanyahu will present his generous offers – and they will be generous; very generous – count to 10 before you reply. First of all, because it will be much harder to change your mind after you say no. And you know what else? Next time you come to Bibi – because you have no choice, because your party colleagues will pressure you, and because of public pressure – his offer will be less generous. Sunday afternoon, Tzipi Livni, when you sit with Netanyahu and he offers you to join his government, think twice before you tell him this is not a government you can be a party to. Between us, what really bothers you in this government, Likud? No, because you already spoke about a unity government with Likud. Yisrael Beiteinu? Come on. After all, in the past week you spoke about Lieberman as if you were twins separated at birth. You would give anything so that he endorses you in his meeting with Peres and join your government. Did you fall in love with yourself? And when Netanyahu talks, when he offers you the right to choose portfolios, an equal number of government ministers, leadership partnership, a veto right, and whatnot, you would do well to engage in a quick process of self-reflection: What motivates you? It is possible that you fell in love with success and with personal victory? Were you mesmerized by the limelight, by the cheers, and by the belief that only you can do it? Or in other words: Did you fall in love with yourself to such extent that you see only what’s good for you? It’s possible that what motivates you is your sense of commitment (or is it guilt?) to leftist parties, the ones you took Knesset seats away from in the elections. But you can relax: This would not be the first election promise not to be kept. It would not be the last one either. Please take a note of an interesting point: There are many rightists who wish to see Kadima joining the government, just like there are many leftists who wish to see a far Right government. Why? Because the Right realizes that a rightist government will expose the terrible secret: That it cannot and perhaps does not even want to do the things it always threatens to do. Meanwhile, the Left wants a rightist government in order to see it collapsing before our eyes, not to mention on our heads. 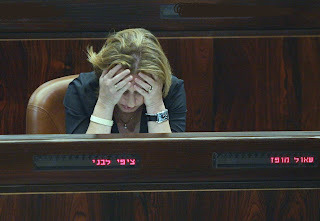 So don’t think about the Right or Left, Tzipi Livni. Simply think about seven and a half million Israelis who are fed up with leaders who say that unity is the call of the hour and a minute later change their mind; leaders who talk about what’s good for the country but have no idea how to do it. Think about what’s good for them; what’s the right thing to do for them. For them, not for you; for them, not for Kadima. You may be surprised, Tzipi Livni, but it is possible that once you do what’s really good for the country, you’ll realize this will be good for you too. The prime minister-designate meeting with visiting US Senator Joe Lieberman, who said a Netanyahu-led government would enjoy good relations with Washington. "Our enemies, unfortunately, are as common as the values and the interests that have united us for all these years," Lieberman told reporters. "I have no doubt that with Netanyahu's government here we will have good and positive relations with the Obama administration in Washington and with members of Congress, and I look forward to playing my part in contributing to that." Moments after meeting with Kadima chairwoman Tzipi Livni for coalition talks, Likud leader Benjamin Netanyahu on Sunday warned he would not be bullied into forming a unity government. "Unity can be achieved by dialogue, not by dictates, not by arm-wrestling," said Netanyahu. "That's what we will do today - we'll begin the effort to join hands, first with Kadima, and tomorrow with the Labor Party." Livni has vowed she will not join a government that does not advance the peace process. Netanyahu added: "I have no doubt that whoever sees the state's best interest will place unity as a central goal.... A real attempt needs to be made to reach a joint position, out of mutual respect and real discussion." After he was tasked by President Shimon Peres with forming the next government, Likud Chairman Benjamin Netanyahu said Friday: "I accept this mission with humility and a strong sense of the responsibility that has been placed on my shoulders. "The State of Israel is currently facing extraordinary challenges. Iran is developing nuclear weapons and poses the greatest threat to our existence since the War of Independence." Netanyahu said that Iran poses the biggest threat to Israel since its War of Independence, and that Israel also faces tough economic times ahead. Netanyahu said he wants to form a national unity government with the centrist Kadima party of Tzipi Livni and with the left-wing Labor party. "I call on Kadima chairwoman Tzipi Livni and Labor party chairman Ehud Barak and I say to them - let's unite to secure the future of the State of Israel. I ask to meet with you first to discuss with you a broad national unity government for the good of the people and the state," Netanyahu said. Kadima chairwoman Tzipi Livni will not join a government headed by Benjamin Netanyahu that would include Shas, Habayit Hayehudi and National Union, but she would be willing to consider a Likud-Kadima-Yisrael Beiteinu coalition, she told Haaretz Thursday. President Shimon Peres has concluded the round of talks to determine which party leader he will task with forming the new government. But while Kadima has declared it plans to sit in the opposition, the Likud is still trying to win them over. His statement came hours after Kadima Chairwoman Tzipi Livni informed her supporters she intends to lead to the party to the opposition rather than join an 'extremist' right-wing coalition. The Likud responded, saying that "immediately after President Peres tasks Likud Chairman Netanyahu with forming the government, (Netanyahu) will call on Kadima Chairwoman Livni and Labor Chairman Barak to join a broad unity government under his leadership." President Shimon Peres is expected to complete his consultations with party representatives on Thursday night, and come to a decision on whether to charge Foreign Minister and Kadima chair Tzipi Livni or Likud leader Binyamin Netanyahu with the task of forming the next government. According to sources at Beit Hanassi [President's Residence], Peres will invite Livni and Netanyahu to meet with him in person on Friday. was opposed to a rotation at the helm of the government. members from Likud Kadima and Israel Beiteinu. Beiteinu is the one to recommend who Israel's next prime minister will be. 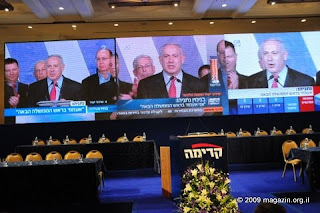 Cham" program 17 February 2009, a week after the Knesset elections. In light of the election results, are you sorry how you voted? Who do you think should be prime minister? Likud representatives urged President Shimon Peres Wednesday evening to task Benjamin Netanyahu with forming Israel's next government. "There is only one person who has a chance to form a government, and that's Benjamin Netanyahu," Knesset Member Gideon Sa'ar told Peres. "There is no mathematical possibility, even on paper, for Livni to form a government." Likud MK Silvan Shalom, who also attended the meeting, told the president: "We came here with the sense that the people of Israel spoke out, and this statement was clear and unequivocal." Shalom urged Peres to task Netanyahu with forming the next coalition "in order to prevent needless waste of time and instability." "To be honest, he is the only person with the chance to form a government," Shalom said. President Shimon Peres begins his long-awaited consultations with the dozen factions in the 18th Knesset on Wednesday in an effort to determine whether he will task Likud chairman Binyamin Netanyahu or Kadima leader Tzipi Livni with forming a new government. Delegations from Kadima and Likud will come to Beit Hanassi on Wednesday night following a visit from the head of the Central Elections Committee, former Supreme Court justice Eliezer Goldberg, who will inform Peres that the results of last Tuesday's election have been published in the official government registry. But the real action at the president's residence is set to take place on Thursday morning, when Israel Beiteinu leader Avigdor Lieberman will reveal to Peres his decision on whether he backs Netanyahu, Livni, or neither. Lieberman is scheduled to return from a vacation in Minsk on Wednesday night. Likud said on Wednesday that chairman Benjamin Netanyahu would be "happy to see Yisrael Beiteinu as a central partner in [a] government" formed under his leadership. Likud faction whip Gideon Sa'ar gave Yisrael Beiteinu negotiator MK Stam Misznikov a document responding to five principles that the smaller party's chairman, Avigdor Lieberman, had presented as conditions for joining a Netanyahu-led coalition. In its response, Likud told Yisrael Beiteinu that it would agree to the latter's conditions for joining, but stopped short of promising to follow through with each demand. The first concern Yisrael Beiteinu posed was with regard to the issue of legalizing civil marriages, a push which could be stymied by a coalition comprising right-wing religious parties like United Torah Judaism and Shas. "Likud reasons that a solution must be found to the personal status of 300,000 people who are not Jewish according to religious law, who immigrated to Israel over the last two decades," Likud wrote in response, though did not detail what such a solution could look like. Yisrael Beiteinu also posed in its conditions the issue of denying or withdrawing citizenship from those found to be disloyal to the state, a platform the party had used throughout its campaign. "Likud's stance is that every citizen of the state, all the more so if by choice, has the obligation to be loyal to the State of Israel. Likud has supported and even pushed forth a number of legislative changes to this regard," the party wrote. "Likud will be prepared to investigate, along with its coalition partners, the need for any amendments to the Citizenship Law, in accordance with international legal norms and compelling legality," Likud added. The party also said that it would work to establish compensation funds for those who complete the Israel Defense Forces and National Service. Likud promised to actively pursue "simplifying and making more effective the immigration process within a legal framework," and to look into creating a number of permanent conversion courts under the supervision of local rabbinates. Kadima Chairwoman Tzipi Livni delivered an enthused speech at an event for her supporters on Tuesday evening at the Tel Aviv port, assuring them the party would not enter a "paralyzed government". "No one can take this victory from us," Livni told the assembled crowd, "no one can take away the feeling that we can change the country from us or from everyone who held their breath with us on Tuesday night. No magician can make the tens of thousands of people who voted for us vanish. No one can take away the journey that will end when we form a government under my leadership. MK Gilad Erdan (Likud) issued a scathing response to the rhetoric sounded at the Kadima event: "DJ Tzipi is welcome to go right on jockeying at delusional parties, but the person who will form the next government is Benjamin Netanyahu, who was elected by the majority of the public. Kadima is detached from reality and is handling itself according to some imaginary script written for it and for Tzipi Livni by image consultants who cheated and deceived the Israeli public throughout her term and the election campaign, as they (the public) is now discovering." Both Netanyahu and Livni have been busy since the election results came in, working on forming a coalition in advance of the decision of President Peres on Wednesday on whom to have form the new government. For his part, Netanyahu has enlarged his base of 27 mandates and now has 50. Likud Chairman Binyamin Netanyahu and US President Barack Obama would enjoy a good working relationship if Netanyahu became prime minister, according to Bill Knapp, Netanyahu's American adviser who served as a strategist in Obama's election campaign before he did the same for Netanyahu in last week's race. Netanyahu, who in the past hired American Republican strategists to help his campaigns, crossed the line when he hired Knapp, who was in charge of strategy for several states in Obama's campaign and also worked for the Democratic candidate in the previous three presidential races. "I think Netanyahu and Obama will work together well," Knapp said. "They are both exceptionally smart and policy-oriented and in the end of the day, they both want to achieve the same things: Security for Israel, peace in the region and an end to this intractable conflict." Addressing concerns that the president could reject Netanyahu's approach to peacemaking, Knapp said that "Obama doesn't approach policy problems by looking at what has been done and automatically doing the same thing." Knapp came to Israel several times during the campaign and worked closely with Netanyahu and two of his closest advisers, Yisrael Bahar and Ron Dermer. While he had never worked on an Israeli campaign before, Knapp said he had followed Israeli politics for a long time and that there were many similarities to races in America. "What was similar was having to find the sweet spot, a winning definition of what the voters wanted and what your candidate has to offer," Knapp said. "With Obama, the voters wanted change and that's what he was ready to provide. Bibi offers convictions on security and the economic situation that was what the people wanted." Knapp said the campaign decided early on to focus on Netanyahu's strengths on the security and economy issues, while defining Kadima leader Tzipi Livni as someone who had implemented and still supported policies that the public had overwhelmingly rejected. "We had to raise the stakes of the race," Knapp said. "She wanted a campaign based on personality, but we wanted to keep it based on the issues. They ran a good campaign, but it was doomed from the beginning because they couldn't reposition her for a public that had left her behind. At the end of the day, there was a robust debate and people got to see the differences on the issues." Knapp said he did not regret Netanyahu's decision to reject invitations to debate his opponents in the race. He said that a debate would have promoted theatrics and more character assassinations against Netanyahu at the expense of focusing on key issues. While Knapp acknowledged that Kadima did end up winning one seat more than Likud, he said he considered the race victorious, because the Right bloc's 65 to 55 defeat of the Left bloc proved that a majority of the public preferred Netanyahu. "I do think that in the end, the campaign was centered on issues," Knapp said. "If there was a popular vote, we would have won easily. She just got more votes because she drained votes from the Left. She pursued a personality-based, flawed strategy built on the quicksand of flawed policy." Israel needs to strengthen Palestinian moderates by bolstering Palestinian Authority security forces with the help of the international community along with rapid economic development of their economy, Likud leader Binyamin Netanyahu said Monday. The remarks by the normally hawkish leader, who is expected to be tasked with forming the next government, were the first indication that he is inching to the Center as he seeks to bring the ruling Kadima Party into his coalition. "We need to strengthen the Palestinian moderates and weaken the radicals by pursuing rapid economic growth and bolstering the security apparatuses of the Palestinian security authority," Netanyahu told a gathering of American Jewish leaders in Jerusalem. "If the Palestinian Authority is willing to work with us, and together with the US administration and perhaps other governments we can move very rapidly to change reality on the ground which is worth one thousand peace conferences," he said. The Likud leader pointed to the success in the recent American training of Palestinian security forces in the West Bank city of Jenin, noting that the Fatah-run Palestinian areas in the West Bank remained relatively calm during the recent 22-day Israeli military operation against Hamas in Gaza. "A combination of political talk and rapid economic development is the best way to create a new reality in the PA," Netanyahu said in his address to the Conference of Presidents of Major American Jewish Organizations who are holding their annual Israel event. Netanyahu has long said that he aims to focus on improving the economic situation in the West Bank since no peace agreement is possible with the divided Palestinians in the foreseeable future. In his remarks, Netanyahu reiterated his opposition to further unilateral withdrawals but, in a new twist, added that "doing nothing also has its consequences." The conservative leader restated his goal on forming a national unity government, over and beyond "the national camp," but said that a new direction was needed for the county. "It is not enough to have a government of national unity, but to move in the right direction," he said. Netanyahu also said that Iran's acquisition of nuclear weapons could torpedo any movement with the Palestinian moderates. "The greatest task of our time is to prevent Iran from acquiring nuclear weapons," he said. Likud Chairman Benjamin Netanyahu said Monday that he would begin forging a coalition with his party's "natural partners" as soon as possible. "I am not going to waste time," Netanyahu told Likud members convened for a faction meeting. "I'll assemble as soon as possible a government with Likud's natural partners." The Likud chairman told his faction members, "My desire is to lead a stable government which will be able to function, a broader government than our natural coalition. But it will be their decision. They will receive an offer, a good offer, a generous one, but it will be their decision. "I don't plan to waste any time," Netanyahu clarified, saying he would turn to the Likud's natural partners, as well as to Kadima. He said there was no time to waste in light of the multitude of threats faced by Israel. "I plan to form a government as soon as possible with our natural partners and turn to the other parties, headed by Kadima, and tell them that in the face of the multitude of these threats, in the face of the multitude of these challenges, we plan to form a broad national unity government and I hope Kadima will accept this call of mine. "In any case, we cannot leave the State of Israel without a government and we will form a government as soon as possible." According to Netanyahu, "The Israeli voter made a clear decision to take the road of strength. The voter rejected the current government's way and demanded that the national camp led by us will form the next government." If if turns out to be impossible to appoint Yisrael Beiteinu leader Avigdor Lieberman as Finance Minister due to the criminal investigations against him, Likud chairman Benjamin Netanyahu will appoint CPA Moshe Leon, a number of politicians have told TheMarker. 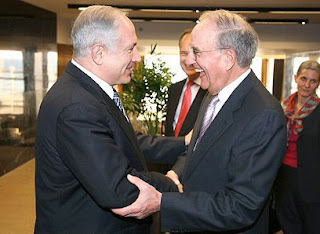 Leon served as Netanyahu's economic adviser and his director general at the Prime Minister's Office. The sources say Netanyahu and Lieberman agreed even before the elections that Yisrael Beiteinu would get the finance portfolio, and Leon is connected to Lieberman, who as transportation minister appointed Leon the chairman of Israel Railways. Leon also served as Likud's accountant in the 1990s, when Lieberman served as the party's director general and Netanyahu was party chairman. "Whoever takes the finance ministry in the new government needs to be a Shi'ite suicide [bomber]," said Yisrael Beiteinu MK Stas Misezhnikov, the former chairman of the Knesset Finance Committee. "This year, in light of the global recession, we are all wary of taking the portfolio. Nevertheless, the person who can pull us out of the mud is Avigdor Lieberman as finance minister," added Misezhnikov, who is also the head of Yisrael Beiteinu's negotiating team for the coalition talks. Bennie Begin, number 5 on Likud's Knesset slate, on Sunday dismissed remarks made earlier by Kadima leader Tzipi Livni, who said that her party had won the election and should be tasked with forming a coalition. "Things are clear," Begin said. "Everyone understands that 65 MKs were voted in by voters who wanted Netanyahu to be prime minister." Likud MK Gilad Erdan said on Sunday that his party didn't need Kadima as part of a Likud-led coalition. "We will be happy to form a government of 65 without them. If they keep playing poker in hopes of getting a rotation, we will form a government without them," he said. Reacting to Kadima's statements according to which Kadima should form the new government, Erdan rebutted Kadima leader Tzipi Livni's claim she should form the government since her party garnered a seat more than the Likud. "I am sorry that the foreign minister continues to mislead the public. A clear majority of the public chose the parties of the nationalist camp and Netanyahu to form the government. We live in a parliamentary democracy and whoever has a majority in the public has a majority in the nation," said Erdan. "Kadima's attempt to get a rotation is an attempt to steal the will of the public and get a prime minister for two years the public didn't want," he added. (Reuters) - Israeli Foreign Minister Tzipi Livni wrote in a private note captured by cameras on Sunday that her centrist Kadima party would not join any coalition government headed by right-wing Likud leader Benjamin Netanyahu. The note, which Livni handed to outgoing Prime Minister Ehud Olmert of Kadima at the weekly cabinet meeting, set the battle lines in what could be weeks of political bargaining after Israel's inconclusive election last Tuesday. "I have no intention of being in a unity government headed by Bibi -- and don't hint that," Livni, using Netanyahu's nickname, said in the note chiding Olmert, who was reported to have urged her to join a broad Likud-led coalition. Television cameras are allowed to film the start of Israeli cabinet meetings, and they caught Livni writing the note. Its text could be read clearly when the paper was shown on TV news programs. Later, in broadcast remarks to Kadima legislators, Livni said the party deserved to lead Israel, but left open the possibility it would go into opposition. "You don't have to be a mathematical genius to understand that 28 seats are more than 27,We will continue to serve the public, either by forming the government, as the public chose, or if need be, in the opposition," Livni said. (Haaretz).Prime Minister Ehud Olmert will hold consultations with Likud chairman Benjamin Netanyahu before any final decision is made on a prisoner swap for captive Israel Defense Forces soldier Gilad Shalit, Haaretz has learned. A source in the Prime Minister's bureau said on Saturday that Olmert will ask for Netanyahu's opinion in light of last Tuesday's election results. Despite garnering less votes than the ruling Kadima Party, the right-wing camp's majority in the upcoming Knesset gives the Likud leader the best chance to form the next governing coalition. Olmert will also huddle with Netanyahu before signing off on a renewed cease-fire with Hamas in the Gaza Strip. "Netanyahu is updated every so often on developments and we will want to consult with him before making a decision on a matter that will be critical for the next government," the source said. Netanyahu ran a campaign with a minumum budget of 40 million NIS,was personaly attacked by almost every party from the left to the Right and above all Kadima,With a MS Media coverage that didnt hide its motion of helping Livni to overcome netanyahu by agreeing to Kadima's spin that this is a 2 man race, and giving Livni all the legitimatecy of being reconized as the only one that will stop Bibi,while hiding any discussion on her experience and her partnership in the current Government. From a Party that dealt with a blow the past Election and only 12 members, with 50 seats for the rightwing Bloc,Netanyahu succeeded in enlarging the Likud party support to 27 seats,a rich and honourable list without all the extremists, and brought back from Kadima 15 seats that went after Sharon in 2006, and Although Lieberman's support in the right he accheived to close the gap with Kadima the incumbent party and is on the way to form a coalition and create a Unity government that will lead us to a better Future. While Kadima's support came on expense of the leftwing voters, and its now the second time livni fails to meet the challange of creating a government and becoming PM,this is certainly not a win and no indication of public support, the only thing she acchieved is that she stays a public figure in political life and is to get a powerful position in the likud Unity government. This election is a comeback for Netanyahu when he returns to the Office of PM after 10 years of serving this Nation with love and passion but without any power,and it goes back almost 30 years of Public service for this Country and now is to lead this Nation with the ideals and leadership he was blessed with to lead this Country to a better and brighter Future. Long live Benjamin Netanyhau, and the State of Israel. the Likud has already begun wheedling Kadima Chairwoman Tzipi Livni to enter a joint center-right coalition. "Netanyahu would be willing to accommodate Kadima in order to include it in a unity government led by him, but first Livni must set petty politics aside and place the country's interests first," the Likud said in a statement issued Saturday evening. "It is unfortunate that Tzipi Livni is unwilling to accept the will of the vast majority of the people, who want Netanyahu as prime minister, and refuses to join a unity government under his leadership." Referring to the entirety of the right-wing bloc, the statement went on to say that while Netanyahu had garnered 65 mandates in the general elections, Livni secured just half that number of seats. Kadima leaders have scheduled a meeting for Sunday, where they will discuss the options available to the party. Livni has said the party should seriously consider rejecting the idea of joining Netanyahu and lead the opposition instead. At the moment it appears she would be able to secure the necessary support for this move within Kadima. Knesset Speaker Dalia Itzik publically backed the idea on Friday. (Dailytelegraph). President Barack Obama is preparing to wade into the messy aftermath of the Israeli elections by pressing the rival Likud and Kadima parties to form a government of national unity. The president is understood to regard such an alliance as the only way to provide a credible partner in peace talks with the Palestinians - and has let it be known that he is ready to lean on either party to make a deal happen. The indication of his thinking comes as Israeli politicians struggle to create a governing coalition after last week's confused election result. Although the ruling centrist Kadima Party won more seats than its more conservative rival, Likud, the combined parties of the Right won more seats in total than those of the centre and the Left. Shimon Peres, the Israeli president, is edging towards inviting the Likud leader, Benjamin Netanyahu, to form a government, and some Kadima members have sworn they would reject any accord that would put their leader, foreign minister Tzipi Livni, under Mr Netanyahu in a new Israeli cabinet. In these circumstances, an American intervention could be vital. Sources in Washington who have discussed the situation with members of Mr Obama's team now believe that the new president is prepared to play a role behind the scenes to ensure that an alliance can emerge. "His team is prepared to take the plunge privately if it is never made public," said a well-placed source in Washington. The Obama administration insists publicly that it will work with whatever coalition government Israeli politicians come up with. The president's advisers are reluctant to be seen meddling in the messy business of constructing Israeli governments. But they also believe Mr Obama could wield his political capital to ease the birth of a centrist government if one of the main players asks him to intervene. (Yossi Verter -Haaretz)A few days after he was defeated in the 1999 election, two of Benjamin (Bibi) Netanyahu's close aides paid him a visit at the Prime Minister's Residence in Jerusalem. 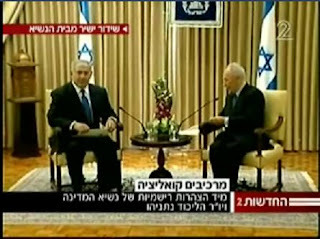 Netanyahu was sitting there alone, engrossed in the newspapers. He looked up at them and said, "Nu, we need to start thinking about what to do." "About what?" they asked. "About how to come back," Netanyahu said impatiently. "How to come back to power. We need to start working on it." Aside from Yitzhak Shamir, all of Israel's prime ministers during the past couple of decades have followed the dictum: If at first you don't succeed, try, try again. History teaches us that making a political comeback could take more time than that. It took Rabin 15 years to return for a second, successful term; 8 years on and Barak is still trying and will certainly try again; Shimon Peres - well, his case hardly needs mentioning. And Netanyahu, 10 years later, is still running around, imploring and paying. And this is child's play compared to what awaits him on the job. Livni claims that the public largely saw these elections as a choice between individual candidates and hence, as the one who won the highest number of seats, she should become prime minister. No, argues Netanyahu, my personal achievement is just as great - first off, the right-wing parties, which won a solid majority over the center-left bloc, were all saying: Netanyahu will be the prime minister. Give us your votes so we will join him, Second, asserts Netanyahu, my electoral achievement significantly dwarfs Livni's: I brought the Likud's Knesset representation from 12 all the way up to 27 - I more than doubled it, and that's before counting the soldiers' votes. Livni won one seat less for Kadima than the party had had in the outgoing Knesset. Therefore, I deserve the top job. (Jpost).The Likud is confident it can meet the two demands on which Israel Beiteinu leader Avigdor Lieberman has conditioned recommending that President Shimon Peres designate Likud chairman Binyamin Netanyahu to be the next prime minister, Likud officials said Thursday. The Jerusalem Post reported exclusively Thursday that Lieberman was ready to endorse Netanyahu rather than Kadima leader Tzipi Livni, provided that Netanyahu pledged to push through his demands for civil unions and an eased conversion process, but that if those two demands were not met, he would back Livni. Lieberman is also seeking to be appointed defense minister or finance minister, wants Daniel Friedmann to stay in the justice portfolio, strongly advocates electoral reform and wants the next coalition committed to toppling Hamas in Gaza. But those demands are not an absolute precondition for him backing Netanyahu. While the issues of civil unions and conversion could derail coalition-building due to Shas's objections, Likud officials said they were sure they could bridge the gaps between Israel Beiteinu and the haredim in order to allow them to both join a coalition under Netanyahu. Former cabinet minister Yaakov Neeman, who mediated a compromise on conversion in 1998, will be tasked with mediating between the two parties if Peres appoints Netanyahu to form a government. "There are ways to mediate between Shas and Israel Beiteinu on these issues and Neeman is the best man to do it," Likud MK Yuli Edelstein said. "Israel Beiteinu must act wisely on civil unions. We aren't in a campaign anymore and we have to work to find a common denominator. If Lieberman wants Tzipi we can't stop him, but if he wants Netanyahu there are ways to bridge the gaps." In an effort to prevent Netanyahu from obtaining the support of a majority of the legislature before Peres begins consultations with the Knesset factions, Kadima sent former Shas chairman Arye Deri to Lieberman on Wednesday, asking him to allow Livni to form a government instead. "Bibi is the same old liar he always was," Deri told Lieberman, according to Kadima officials. "He won't keep his promises on civil unions." 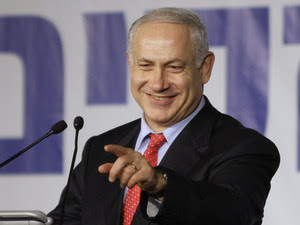 "We've all seen the election results, and I think that Benjamin Netanyahu will be the next prime minister," Histadrut chairman Ofer Eini told “IDF Radio" (Galei Zahal) today. Eini added, "In his last campaign, Netanyahu presented a socialist platform. He's already become a half a socialist, and I hope that in his next term he'll become a full socialist." Eini also expressed the hope that, as prime minister, Netanyahu and the finance minister that he will appoint will give workers priority. "The main thing is that there's an economic crisis, and I hope that they'll take care to meet with us and the employers to create a stronger and healthier economy. I'm a natural optimist, and I hope it will happen." Kadima will head for the opposition benches if Benjamin Netanyahu forms the government, Tzipi Livni said Thursday, adding that her party has no intention of accepting a right-wing, ultra-Orthodox government. However, a senior Kadima official said the party probably would join Netanyahu's government eventually, and would demand the foreign and defense portfolios for Livni and Shaul Mofaz, or the foreign and education portfolios for Livni and Knesset Speaker Dalia Itzik. In consultations over the last two days, Livni said it would not be possible to set up a real unity government after Netanyahu formed a 65-member coalition. This coalition probably would include the ultra-Orthodox party Shas, which objects to advancing the peace process, and the far-right National Union, one of whose new Knesset members is a former Kach member. A growing number of Kadima party officials are calling on Chairwoman Tzipi Livni to consider sitting in the opposition, this after Tuesday's general elections secured a clear majority for the right-wing parties in the 18th Knesset. Livni, for her part, said during her meetings with Kadima activists Thursday that the party "has gained the public's trust and should form the next coalition in order to promote its agenda". Kadima officials who spoke to Livni said the chairwoman hinted she would not rush to join a government led by Likud leader Benjamin Netanyahu that would also feature Shas and Avigdor Lieberman's Yisrael Beiteinu party, and would not rule out leading the opposition. Political establishment sources estimate that, barring any unforeseen developments, President Shimon Peres will eventually task with establishing the next government. A source close to Livni said she was expected to make a "dramatic announcement" on Sunday during the scheduled Kadima faction meeting. Netanyahu as a MIT student in 1978 named as "ben Nitay"
“Thank you to everyone and to the candidates for the next Knesset. “Our party, too, has soared. In the last Knesset we had 12 seats, only 10% of the Knesset, and in this Knesset, we have more than doubled our strength, an increase greater than any other party. This shows that the Likud will form the next government together with the other parties of the national camp. “I want to thank my family who supported me throughout and my good friends who are also here, especially the head of the Likud faction, who did an outstanding job.” Netanyahu also thanked his campaign and staff workers. “Most of all, I want to thank the people of Israel who believed in us. To those who did not vote for us,” said Netanyahu, “this is a democracy and everyone acted out of his belief. We will act for the benefit of all parts of the nation.” Netanyahu ended by quoting from Isaiah “They helped everyone his neighbor and everyone said to his brother, “Be of good courage”. Following Tuesday's general election, apparently won by Kadima leader Tzipi Livni but in which the right-wing bloc emerged as the largest, coalition talks started swiftly on Wednesday, with Likud chairman Binyamin Netanyahu meeting with Shas leader Eli Yishai, Israel Beiteinu leader Avigdor Lieberman, and United Torah Judaism chair Ya'acov Litzman. Livni also held talks with Lieberman. After the Netanyahu-Lieberman meeting on Wednesday evening, Israel Beiteinu MK Yitzhak Ahronovich said that his party had not ruled out recommending that President Shimon Peres give Livni the mandate to build the next government. "We still haven't decided who we'll recommend, and we're not ruling out any Zionist candidate," he said. Stas Meseznikov, another Israeli Beiteinu MK, was appointed as the head of the party's coalition negotiation team. The party has said it will focus its efforts on resolving terror and toppling Hamas control, advancing an Israeli citizenship law, issues pertaining to religion and state, and changing the system of government. Also on Wednesday evening, the Likud leader told his faction members at their first meeting since the elections that he would not accept a rotation of the premiership. Netanyahu reportedly said that Kadima could choose to join a Likud government. Earlier in the evening, following his meeting with Netanyahu, Eli Yishai seemed confident that his party would sit in the government, but noted that no matter which parties would eventually form the coalition, Israel's new government would not be very stable. Yishai told Channel 2 about his meeting with the Likud chairman, held on Wednesday afternoon, and said that they had discussed all the options for building a coalition. "However it turns out, the government will not be very stable," said Yishai. Yishai stressed that although Likud could theoretically form a coalition without Shas, such a move would be impracticable. The Shas leader stated that he would not rule out sitting in a Likud-led government including Israel Beiteinu, noting that, "In the past, there have been more extreme combinations." Without Lieberman, Livni has no government, But does she have a mandate from her voters? (Haaretz).Tens of thousands of left-wing voters who recently decided to vote for Kadima instead of Labor or Meretz will wake up this morning to hear that Tzipi Livni is vigorously courting far-right leader Avigdor Lieberman. Without Lieberman, Livni has no government. Even with the Yisrael Beiteinu chairman, Livni's ability to form a government is in great doubt. 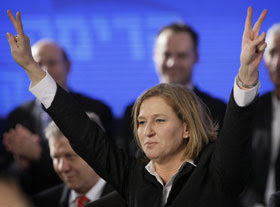 Livni won a major victory yesterday. She beat Benjamin Netanyahu's Likud, which had been leading in the polls until the last minute. The election had boiled down to Tzipi vs. Bibi, and the public decided in favor of Livni. Even if Netanyahu does end up forming the government, he sustained a stinging blow yesterday. Livni's victory was achieved by stomping the left-wing camp, including Labor and Meretz. A word of warning: Last night we only had the exit polls, but experience shows that by morning the picture will change by a seat or two - and in this case every seat could play a critical role. What political, electoral and coalition complications were created yesterday. Only Israel's version of democracy could come up with the largest political bloc being comprised of Likud and right-wing and ultra-Orthodox parties at the same time that the largest party is the one leading the center-left camp.